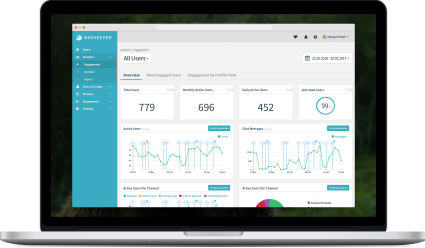 We are excited to announce the ability to develop cutting-edge employee surveys and granular analytical tools for the non-desk workforce with a new integration between Hyphen and Beekeeper. Understanding the pulse of your company is crucial for any manager, even more so when the workforce is dispersed and disconnected through traditional communication methods. Highly experienced global business executive with a career marked by consulting hotel companies to align business priorities and information technology investment. Helping hotel companies embrace new trends in technologies and strategies to drive customer loyalty, increase revenues, and define and deliver a better/unique guest experience. Recognized and respected as a highly innovative visionary and proven leader in the hospitality space. Management consultant and people analytics ninja turned visionary HR Tech entrepreneur, Arnaud today spends all his time thinking about how to help organizations take their Employee Engagement initiatives to the next level. With Hyphen, he is on a mission to build the most accessible technology to measure engagement, open up two-way conversations, surface opportunities, build trust within organizations and prioritize the most critical actions that leaders should take. In his spare time, Arnaud competes in the San Francisco Taqueria consumption league and considers himself a Level 10 connoisseur. Beekeeper is a mobile-first communication platform that reaches every shift, location, and language through real-time messaging and targeted streams. Managers keep frontline teams productive and turnover low by automating workflows, while leveraging an analytics dashboard to measure engagement. Beekeeper integrates with existing operational systems and makes them accessible in one central portal. The company is based in Zurich and Oakland and supports users in more than 130 countries. Clients include Domino's Pizza, Hilton, Heathrow Airport, Seaboard Foods, and Mandarin Oriental. 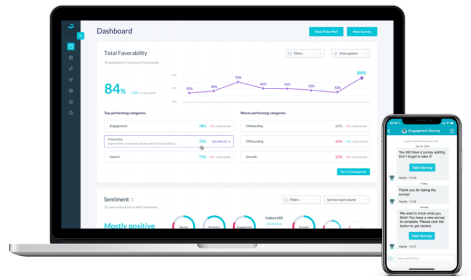 Hyphen is the leading mobile-first solution for Employee Surveys, Feedback, and Insights, helping distributed organizations like Rio Tinto, Delta Dental, Domino's Pizza and Symphony get a real-time pulse of all their employees, including the deskless. Hyphen lets employees answer simple yet powerful onboarding, engagement, and exit surveys, as well as ad-hoc pulse questions, on their mobile devices. Hyphen's real-time analytics help HR, Leadership and people managers understand the levers of engagement for each team, identify the hotspots in the organization and execute targeted action plans to increase employee engagement, retention, and productivity.